1. This DEX Floral Embroidered Moto Jacket from The Bay is so fun and costs under $100. Perfect addition to your spring wardrobe. 2. My striped boat neck long sleeve dress (currently $20! 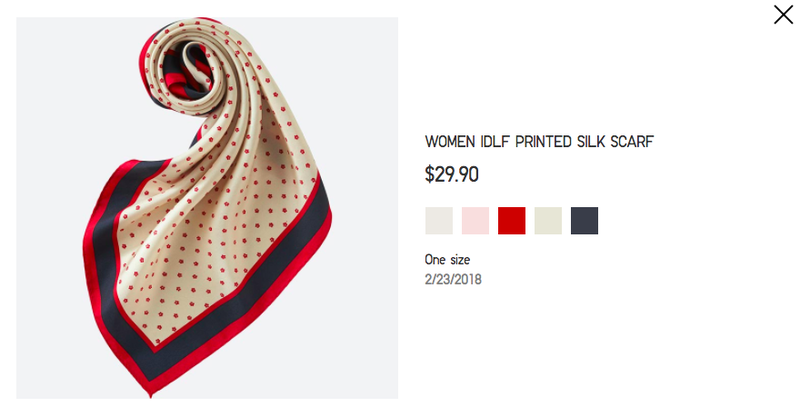 pictured in the photo above) and the Ines de la Fressange silk scarf are both from Uniqlo. I love that place. 3. I also enjoy silicone hair elastics (mentioned here) and these 12 Mini Silicone Non Slip Hair Elastics Bobbles Bands are so cute. I have them in clear, and they cost around $5. Small silicone elastics are hard to find, luckily shipping was really quick on this Ebay item. 4. There's so much hype surrounding "jade rollers" and I was on the quest to find an affordable one to test out the magic. I found the above light green and silver stone roller at B & J Trading - 376 Spadina Ave, Toronto. 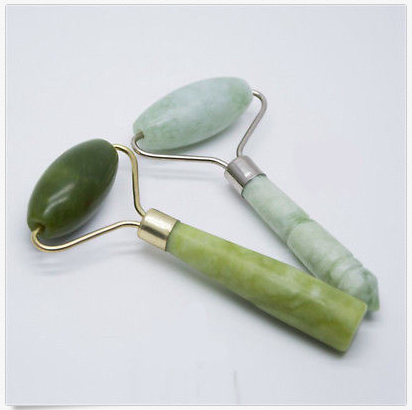 At a mere $6 this stone roller (note- not real jade) is super smooth and cool, helping to relax facial muscles, improve blood flow and lymph drainage, and tighten sagging skin. Buy one on Ebay here. 5. Earlier this year I visited Maggie at the Wacoal section inside The Bay Eaton Centre for my first-ever proper bra fitting. This was especially "proper" since the brand manufactures bras of ALL sizes, including 30D - my new lucky #. Maggie fit me with the Amazing Assets Bra, their prize-winning strapless that is on sale right now for $56 in black (limited sizing). Maggie is an outstanding help where underwear is concerned, and knows each bra by name. It's such a fun girls day, I can't wait to share more info on this with you in the upcoming weeks. I also bought the Cross-Dye Lace Soft Cup Bra (on sale for $39.20 - many sizes) and received the La Famme Underwire TShirt Bra as a press sample. This bra has a near 5-star rating, and costs $76 in either black or beige. It's outstanding, go try one on. 6. 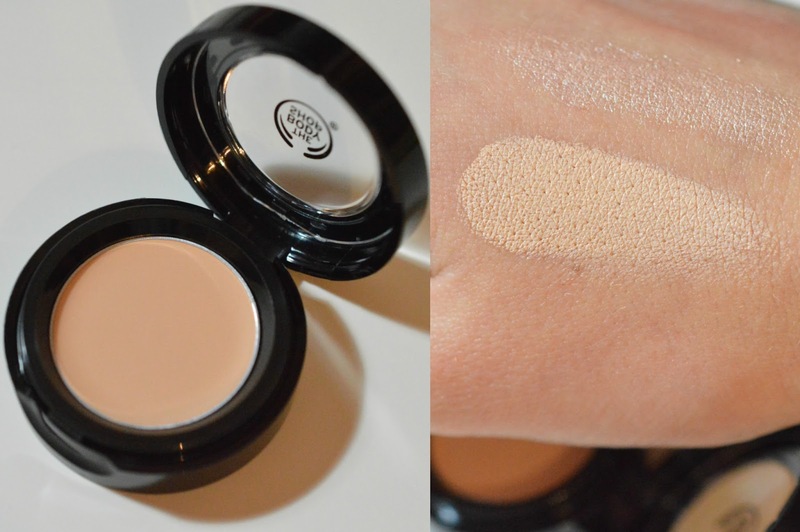 The Body Shop Matte Clay Concealer is a really exciting product I just had to buy while stopping by their store earlier this week. Claimed to be a dupe for Benefit Boi-ing, I paid only $6 for this cute little pot and I'm loving the lightweight coverage that it provides. This is the lightest shade (in Peruvian Lily 010) is good for my complexion right now. As you can see it isn't paper-white, but it's lighter than you'd expect and I think it wore quite well today. I'll definitely feature it more going forward. 7. 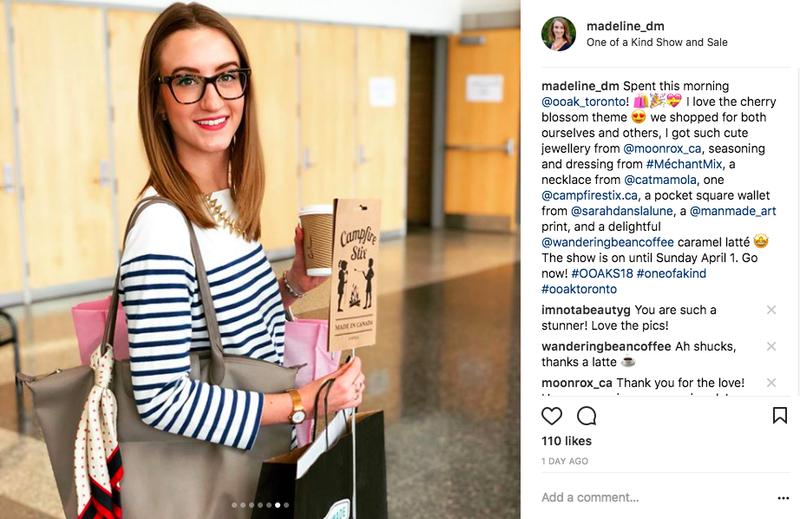 At the OOAK show I purchased two adorable pieces of jewellery from Moonrox. The Dotted Pearl Bauble Ring and Delight Stud Earrings in cherry quartz (in my Insta post above). 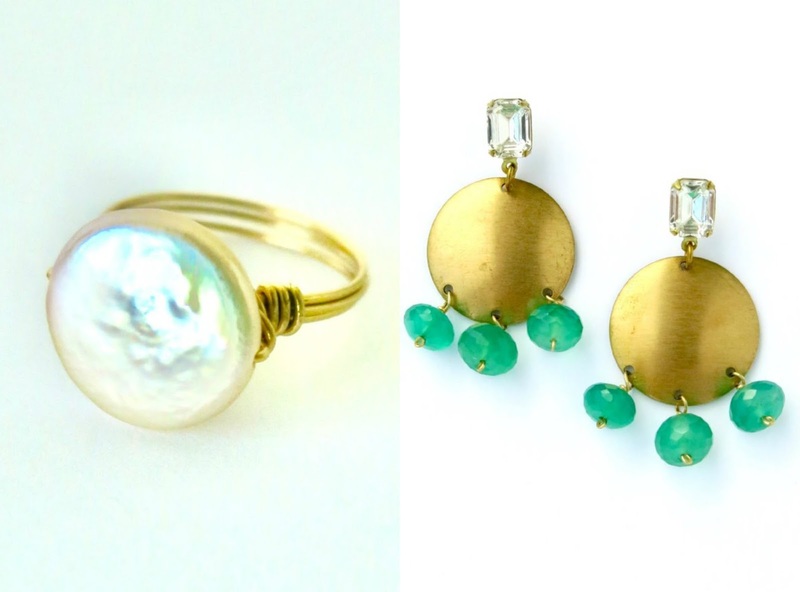 I've wanted Moonrox jewellery for years, so I'm thrilled to have found these styles that make me so happy.